This weekend is the Big Game, the rhinoceros of American football, the Super Bowl. Cheerleaders will cheer, the costliest commercials on television with air, and millions of pounds of pizza will be consumed. I hear there is also some kind of sporting event involved in between all of that. For a large quantity of us, our Sunday is thoroughly planned out. All over the country, Sunday will be filled with people partaking in America’s favorite pastime. No, we’re not talking about baseball, but rather partying. And what type of party is most associated with sporting events like the Super Bowl? Right. Tailgating. We tailgate in our driveways, in the parking lot (even if the game isn’t there), in our back yards.. and yes, even at campsites and far-flung BBQ pits. Which brings us to the best vehicles for a tailgate party host. 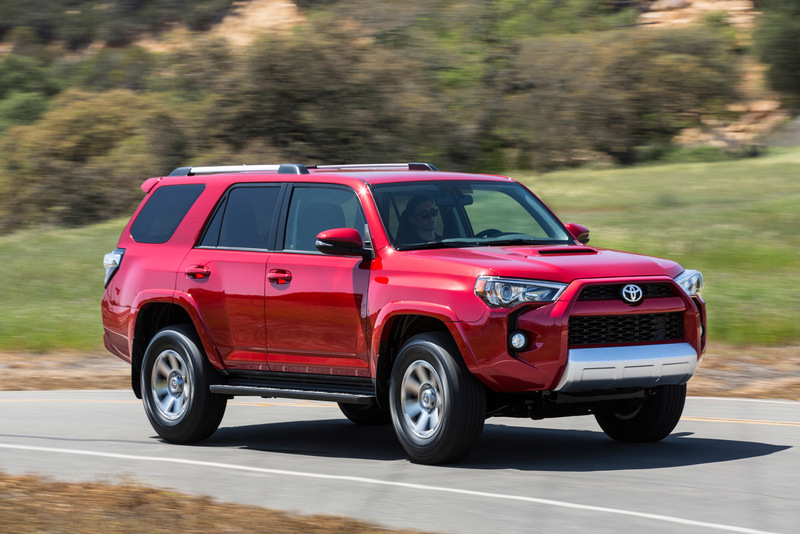 Right now, it’s the 2015 Toyota 4Runner Trail Edition. This rugged sport utility has everything you need for a base platform to build your tailgate party on. It has a go-anywhere, get-there capability and mindset. It can bring your friends (up to four of them) plus gear. The rear hatch opens high so that even a tall man can stand underneath it. Plus it has a slide-out tray option that holds over four hundred pounds in coolers, barbeque, and condiments. The stereo can be flipped to the back speakers so that it plays out the open tailgate. A 120v outlet is there too. That means that all you have to do to tailgate in the Toyota 4Runner Trail is add the food and good times. It’s pretty awesome. 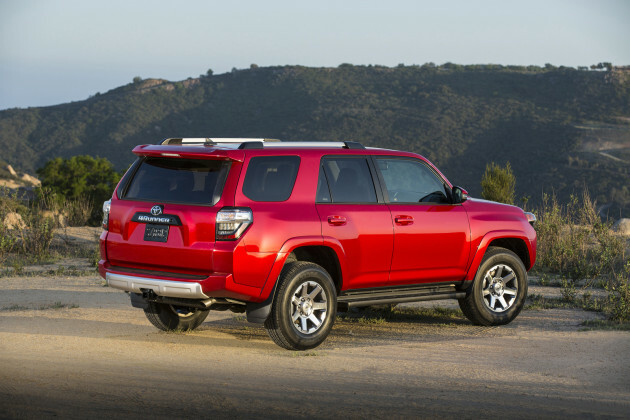 The 2015 4Runner Trail is the package that fits above the base SR5 model and below the TRD and Limited models. It’s sort of the “everyman’s” option with way more capability than the price tag (roughly $41,000, loaded) would assume. It combines the functionality of the true-SUV 4Runner with better amenities and some serious offroad capability. This means that when there’s no game on or tailgate party to attend, the 4Runner Trail can be used as a destination vehicle to get you, your friends, family, or whomever else out in the country and under the stars. It’s 4.0-liter V6 (270HP) and four-wheel drive with the optional Kinetic Dynamic Suspension System can get you to destinations that most crossovers and many sport utilities only dream about. Short of a serious, purpose-driven offroader, the 4Runner Trail is the best you can get for off-pavement adventure from the factory. 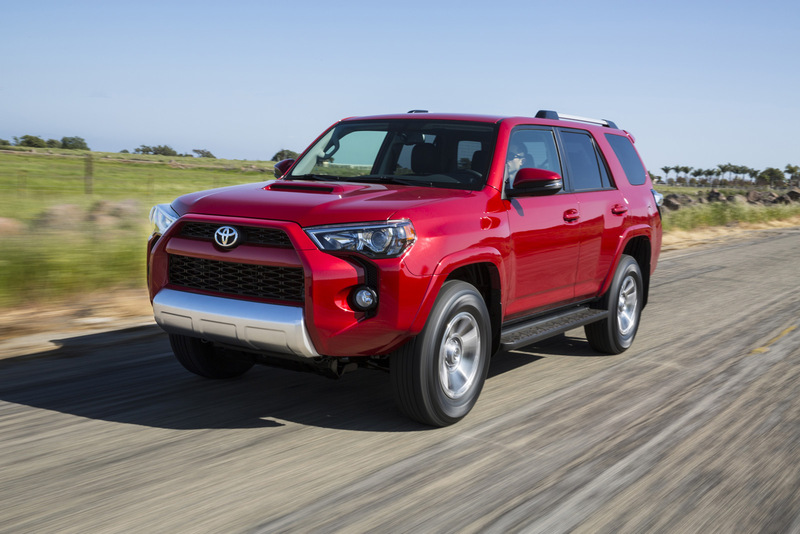 The 2015 Toyota 4Runner is on-road capable, of course, and can be used as a regular daily driver if you wish, but the Trail edition is really designed for plying the highway in general comfort so that you can go off the pavement once you arrive. The highway ride is secondary to the offroad roving. So if you’re tailgating, maybe you need a machine like the 4Runner Trail to make it the best party ever. Then, when the game is over, you can climb over the debris to get out of the lot and head for the hillside to sleep under the stars.